Crocker v. Morales-Santana, a case from the North Dakota Supreme Court, involved a sheriff who suffered serious personal injury when his patrol car was hit by a semi-tractor trailer driven by defendant. The police car was parked on the north side of an interstate, while the sheriff was helping a stranded motorist during a winter storm. Defendant owned the truck that he leased to a tire collection company. According to defendant’s testimony, he was driving the truck that day as an independent contractor of the tire collection company. Plaintiff first filed a personal injury lawsuit against defendant and the tire collection company. 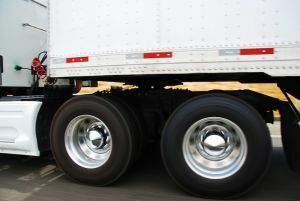 After the tire collection company liquidated, plaintiff and his wife amended their complaint to include a national motor carrier who had contracted with the tire collection company to provide trailers for use by the company. This is a typical arrangement in the commercial trucking industry. As our Boston personal injury attorneys can discuss, one of the biggest issues that can arise is when a defendant does not have the assets or insurance to fully compensate a plaintiff for the injury caused. It is often necessary to fully explore all of the companies and persons who may be rightfully responsible for the injury caused to the plaintiff, so that the plaintiff can receive a full and appropriate financial recovery. In Crocker, the national carrier that leased the trailers filed a motion to dismiss the cause of action against them, claiming it was defendant and the tire collection company that was liable for the plaintiff’s injuries. The trial court granted the motion to dismiss. At trial, defendant and the tire collection company did not appear and a judgment was rendered finding the defendant solely responsible for the accident and the tire collection vicariously liable for injuries caused by defendant. Vicarious liability is a legal term where an employer is liable for the negligent or intentional conduct of an employee, or, in some rare cases, a parent is held liable for the conduct of a child. The purpose for this is to enable financial recovery from the employer as well as the employee. Plaintiff appealed trial’s court’s ruling that the national transportation company was not liable for the conduct of defendant. The basis for the appeal was that a federal statute pertaining to common motor carriers (trucking companies) considered defendant an employee of the national carrier. The court looked at the history of regulations pertaining to national motor carriers and ultimately concluded that the national carrier was not liable under the statutory employee doctrine sighted by plaintiff. Plaintiff further argued that, even if the statutory employee doctrine did not apply, the national carrier was liable because it retained control over his work. This is an element of the agency-principal relationship that is commonly argued in personal injury cases involving a determination of whether a person is an employee or an independent contractor. On appeal, the court found that plaintiff did not offer substantial factual proof that defendant was an employee, rather than an independent contractor.